A newly defined whiskey category, American Single Malt whiskey, is a notable addition to American craft spirits. The American Single Malt Whiskey Commission was formed to combat confusion around the many whiskies now being produced in the United States, along with how they compare to international spirits like Irish whiskey and Scotch. This definition of American single malt is important because we’re seeing a surge of popularity in the U.S. for Irish, Scotch and Japanese whisky. Much of the American single malt whiskey now being made rivals the traditional distilling and high quality taste profiles of their international counterparts. 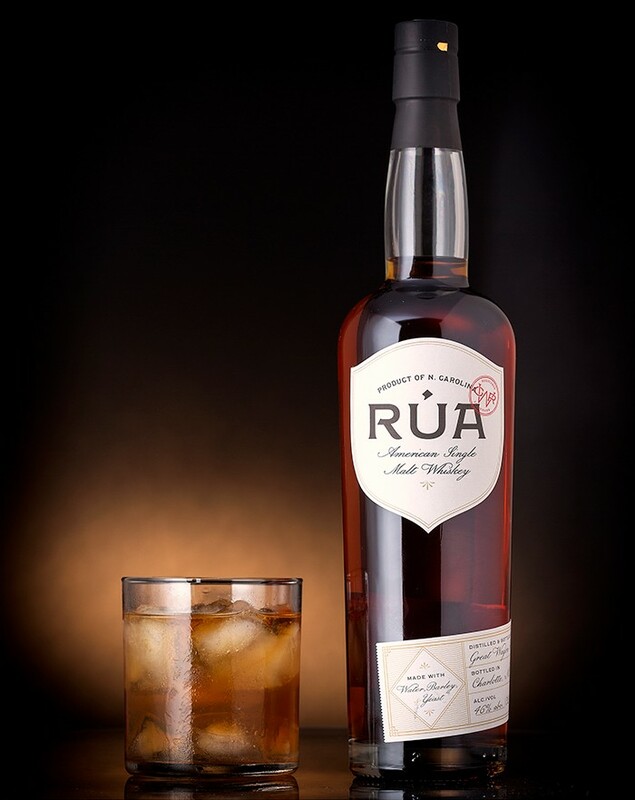 Rúa single malt whiskey, distilled by Great Wagon Road Distilling Co. in Charlotte, is inarguably recognized as one of the leading American single malt whiskies in the Southeast. Selected in 2016 as a “Made in the South” winner by Garden & Gun magazine, Rúa continues to gain accolades including a gold medal from the Los Angeles International Spirits Competition. Great Wagon Road Distilling was the first craft distillery in Charlotte, and owner Ollie Mulligan had just the right background. A County Kildare-born Irishman, Mulligan learned to distill whiskey in the kitchens and barns of Ireland before bringing those traditions to the craft spirits scene in North Carolina. Rúa, which means “red” in Gaelic, is made from water, barley and yeast. And Mulligan pays attention to each one of those ingredients. The malted barley is non-GMO and organic, and the water is from Yancey County in the North Carolina mountains. The whiskey goes into new 25-gallon American white oak barrels to age until it’s ready. The Rúa bottle we’re tasting this month is from Release 33, and it was aged for 16 months in barrel 256. Proof is 92 which is just the right balance of alcohol to bring out the gorgeous notes of barley and oak. Nose: The aroma is of an amazing arrangement of cherry, vanilla and wood with hints of spice. Taste: When tasting whiskey, it’s important to let the first taste cover and coat your palate. It’s not about noting anything specific but training your palate on that first taste. On the second taste of this whiskey, the flavors are more distinct. Up front are notes of cherry, but they’re quickly smoothed into a combination of sweet and spice. The finish has hints of cedar and oak along with caramelized vanilla to round out the mouthfeel. This is the perfect neat sipping whiskey for fall. Get an Old-Fashioned glass and a large ice cube (or splash of water). Pour the whiskey, and find a comfortable porch. Cheers!